Late last year, I read somewhere (a blog? Facebook?) 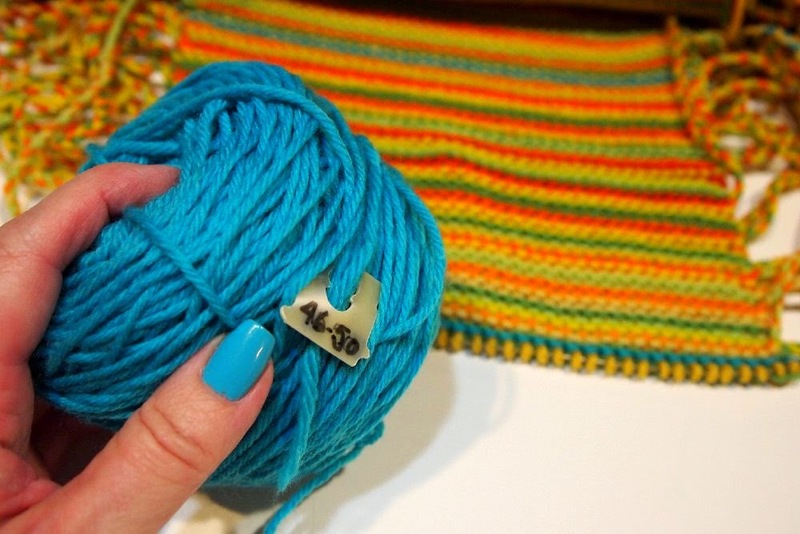 about a knitter's "My Year in Temperatures Scarf." I loved this idea, so I started gathering yarn from my Cascade 220 stash. 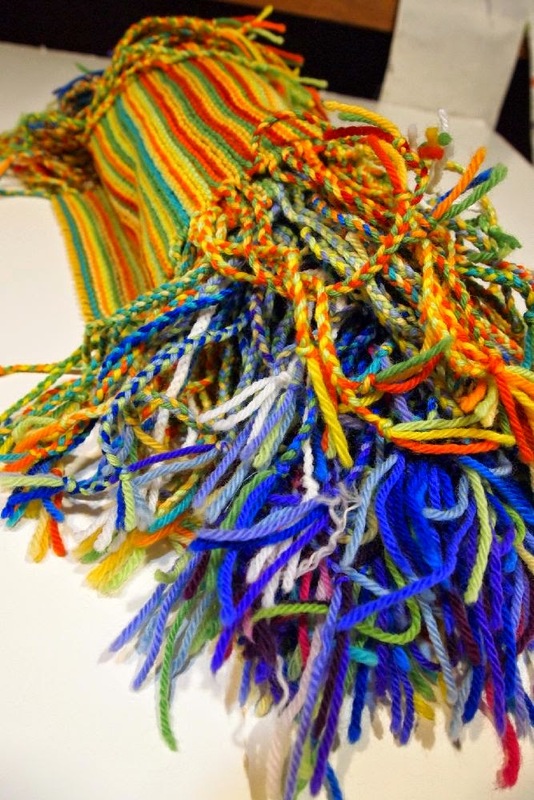 The original scarf is knit only in colors that represent the daily "average" temperature. However, in Colorado our temperatures some days vary as much as 40 degrees! So I decided to knit three rows for each day, of colors representing the low, average, and high temps. Come September 1, I was surprised that I hadn't needed to use the color (coral) that represents 100+ degrees. It's rare that we hit 100 degrees -- our elevation is 6801, after all! With a little Google research, I found that there were two days in 2013 that the temperature hit 100 degrees. According to the National Weather Service, the hottest day on record in Denver (1.5 hours to the North of us) was June 25, 2012, when the temperature hit 105 degrees Fahrenheit. More unusual is the cool, wet weather we've had this summer. According to my personal records (temperatures posted by my neighborhood weather station) on June 10 the low was 40F -- but the high climbed to 79F! I'm saving the "big reveal" until the end of the year; but it's at least 8 feet long now! if you get around to it! I absolutely love this idea and can't wait to see the big reveal! I would be tempted to do a scarf for my area, too, but am too lazy to make the color chart, lol. I think this will be my project for next year -- when you get a chance, could you please remind me how many stitches you cast on and what size needles you are using? Thank you! I knit something similar (a sky scarf/cowl) using two strand of lace weight yarn each day that represented the color of the sky at the same time each day, lots of fun to knit and wear. This is such a fun idea. I may have to check that out and try it myself. I love this fun idea and I can't wait to see it at year end. I may try it myself next year. 8 foot long! Wow, you could almost turn it into a rug. Here in Adelaide in summer it would be mostly coral as its always hot, hot, hot for months!